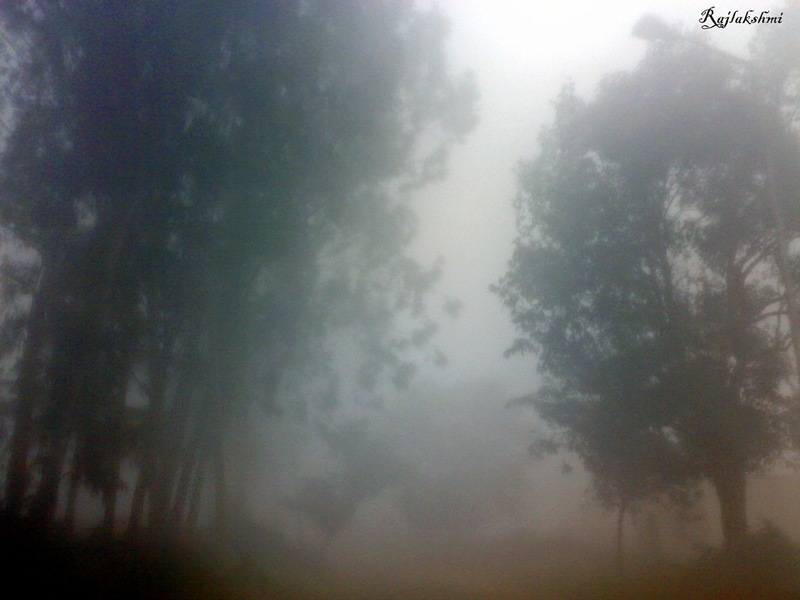 I know the summers in India could be extremely uncomfortable, so please don't kill me as I post these misty wintry pictures of Bangalore. :P I was racking my brain trying to find a topic for today when I came across this folder in my laptop. 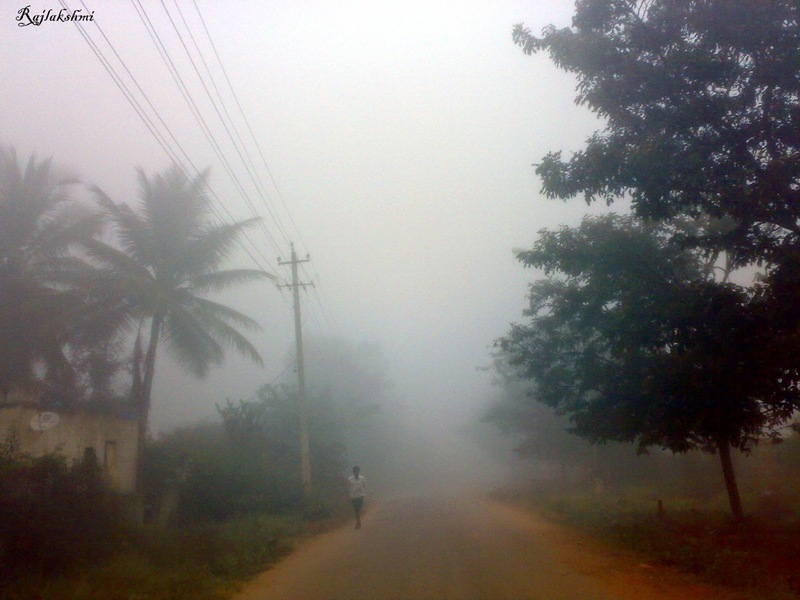 I loved the winter mornings in Bangalore (India), although the afternoons could be just as hot and humid as summers. I had clicked these pictures two years back, while going to the office, at around 7 am. I lived in the outskirts, away from the teeming apartments and malls. The whole area, fields and roads, would be covered in fog. 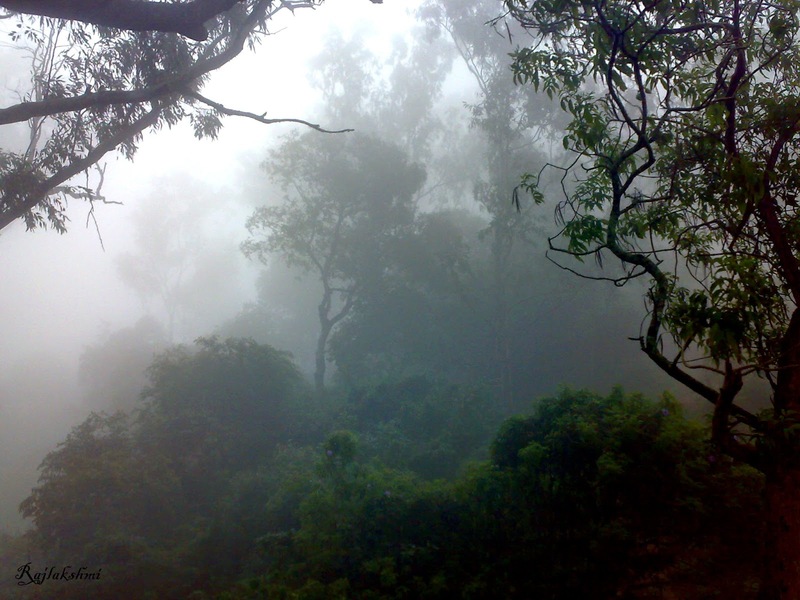 The pictures look a lot like Nandi Hills. Sometimes I would just roll down the car windows and imagine myself going through a creepy jungle. Everything looked so spooky, as the visibility was restricted. I could see the fog slowly diminishing, as we drive towards the main road. From a distance, it looked like a white wall of nothingness. Such natural photos! Even through the fog the background which is visible looks awesome. It's a lovely place to live in :) Thanks for writing in. 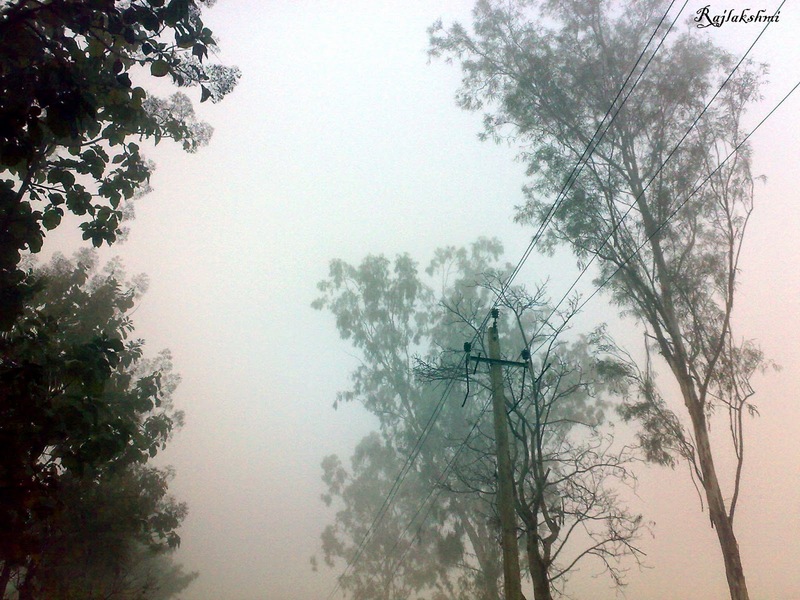 ohh.. awesome, even in summers sometimes Baangalore weather is super cool with clouds and mist!! Love the beautiful photos of your winter with the fog! Very different from our bitterly cold winters here in Canada. I think I would prefer your more moderate winter climate but maybe not your stifling hot summers. Lovely pics.. :) Very natural!! Those days are gone, Rajlakshmi! :) The morning is as bright as ever. No scope for mist. Too much construction! I hope you will enjoy your stay :D thanks a lot. Heavenly !!! Lovely pics Rajalakshmi. Very atmospheric captures, good to meet you, albeit virtually after your recent comment on my photography blog.